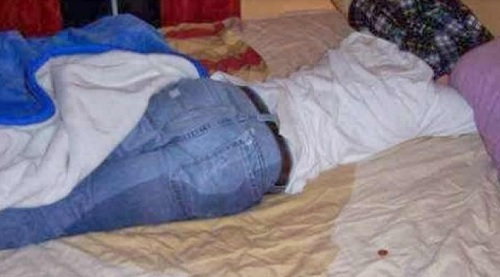 An underlying health condition or traits inherited from the family that causes an adult to be bed-wetting, has been spoken about by a medical doctor, who shared an insight. A General Medical Practitioner, Dr. Samuel Adeolu, on Thursday, said bed-wetting among adults is a medical issue. Adeolu told the News Agency of Nigeria in Abuja that the phenomenon among adult indicates an underlying health condition or traits inherited from the family. According to him, study has shown that someone with two bed-wetting parents has a 77 per cent chance of becoming a bed-wetter. “When one parent bed-wets as a child, his son or daughter is found to have a 40 per cent chance of becoming a bed-wetter. These probabilities carry into adulthood as well,’’ he said. Adeolu said that excessive production of urine during sleep was also known as nocturnal polyuria. “This abnormality can cause nocturnal enuresis in adults; but it is also a symptom related to type I diabetes. “Patients with a smaller bladder are often dealing with primary nocturnal enuresis. “In fact, detrusor over-activity has been found in up to 70 to 80 per cent of primary nocturnal enuresis,” he said. Adeolu noted that psychological problems such as stress, fear, anxiety, side effects of certain medications, excessive ingestion of alcohol and irritable bladder are some of the causes of bed-wetting in adults. He said that for secondary nocturnal enuresis, underlying health issue was at the root of the bed-wetting. According to him, such problems can be associated with the prostate in men or pelvic organ prolapse in women. He said: “Any of these medical issues can also cause bed-wetting in adults. “They are Diabetes, urinary tract infection, urinary tract stones, neurological disorders, anatomical abnormalities, urinary tract calculi, prostate cancer, prostate enlargement, bladder cancer, or obstructive sleep apnea."